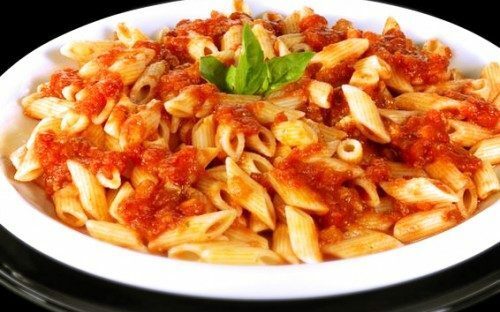 You can create your typical Roman penne all’arrabbiata as hot as you like because this dish is characterized by an intense and strong flavour.Our version of penne all’arrabbiata is very simple. 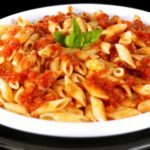 However, there are more complex versions of this dish that involve the use of a nice sprinkling of Pecorino or Parmesan and even Vodka. 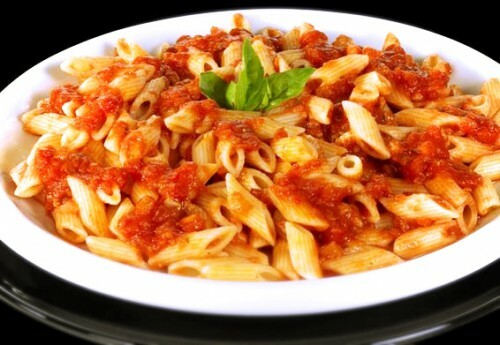 Our advice for this very special recipe, is to start by choosing a high quality tomato. In a pan over a medium heat, add the oil, chopped garlic and chilli. Sauté for 1 minute then add the anchovies then continue to cook and stir for a further 2 minutes. Add the tomatoes, check the seasoning then continue cooking for about 15 minutes, stirring occasionally. Add the parsley to the sauce, reduce to a simmer and meanwhile, cook the pasta. Cook the pasta in salted, boiling water until al dente then drain and add to the sauce. Stir everything over a low heat for up to 1 minute to allow all the flavours to mix. Serve with freshly grated Pecorino cheese.